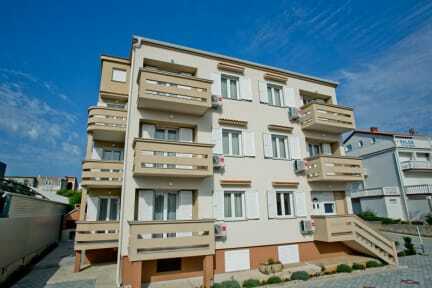 Apartments Matan are situated in the heart of Novalja. Neighbourhood is quiet so you can feel comfortable. There are 6 apartments wich are all for 4 persons. Three apartments are with one bedroom and 3 others are with two bedrooms. The units come with tiled floors and feature a fully equipped kitchen with a fridge, a TV, Satellite TV, and a private bathroom with shower. All units are air conditioned and include a balcony. All apartments are coverd with free WIFI connection. On your arrival you get towels and sheets fo free. We are 24 hours on your service.